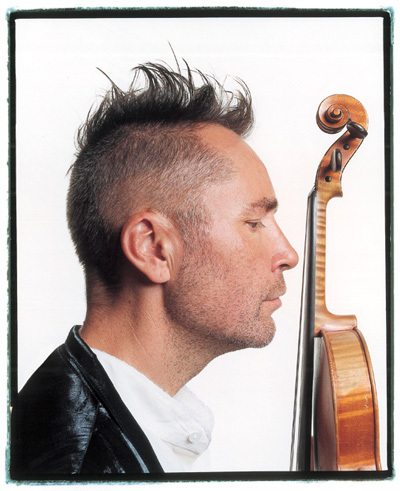 Maverick violinist Nigel Kennedy will perform a new interpretation of his ground breaking 'Four Seasons’ next January, as well as his own critically acclaimed compositions ‘The English Collection’. Following on from his Guinness world record-selling album of ‘The Four Seasons’ in 1989, Kennedy now presents ‘The New Four Seasons’ – a new album reinventing his original work, and he now prepares to perform the album live across the UK. Never being one to adhere to convention and always pushing the boundary, Kennedy will take audiences on a journey with his own extraordinary flair, whilst keeping the original ‘Four Seasons’ at it’s root. The first half of the shows will also see Kennedy performing his own critically acclaimed compositions ‘The English Collection’. These pieces feature all of the characteristics that have kept Kennedy a household name for over 25 years – melodic charm, elegance and great virtuosity. Tickets for all the shows except Birmingham will go on-sale on Monday 26th October. Birmingham on-sale soon.